With 30 news poll losses around the corner for Malcolm Turnbull, it might be time for him to do what all the cool kids are doing. With his 30th consecutive poll loss just a week or so away Malcolm faces a number of searching questions. Should he give it all away or should he soldier on to protect the country from Bill and Bowen’s burgeoning budget blow-outs? Or should he instigate a parliamentary inquiry into whether the selection of the Newspoll research panel is based on data supplied by ACTU Analytica? The only certainty is that upon reaching this historic milestone Malcolm will declare that the only poll that counts is the one on election day. However he needs to appreciate that if by the time the next election comes around the electorate still has him by the balls, then no amount of tampering from Cameron Bancroft is going to produce a swing big enough to save him. 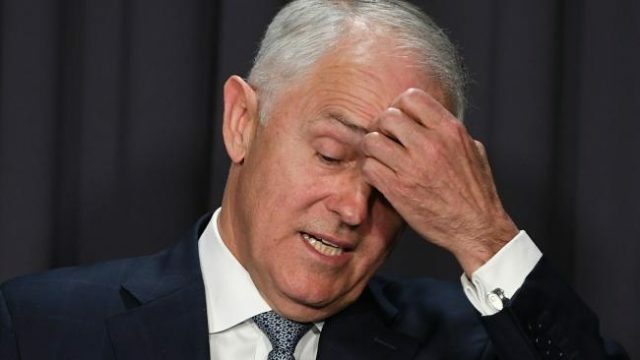 The big difference this time from Tony’s Newspoll losing streak is that even after 30 successive losses the nation still prefers Malcolm to the dead losses in the Coalition who threaten to replace him. And of course a comeback by Tony would be about as welcome as a Stormy Daniels visit to the White House. So it’s time we all gave Malcolm some much needed encouragement by recognising his Newspoll losing record as a world-class achievement to rank with the number of times the Israeli-Palestinian peace talks have broken down, the number of times the Greens have failed to break through at elections and the number of times the ABC assured us that Trump would never become President. Malcolm needs to demonstrate that he’s not only got the balls to lead the country but also that they’re tamper-proof. Now that the most powerful leader in Australia has been suspended for a year to temper his tamper it’s time for Malcolm to stand up and claim that never again on his watch will an Australian go through a rough patch caused by sandpaper down his trousers. He should immediately put an end to bill-tampering in the Senate and adopt John Howard’s text-book example of election Tampa-ing. He should also study the tactics of James Sutherland, the CEO of Cricket Australia, who seems to be the only one who has survived the ball-tampering balls-up without getting knackered. Perhaps it was because he was shiny down one side and rough down the other and that enabled him to swing either way. Now is the time for Australia to come together as one and ensure that Malcolm wins the Newspoll immediately following his 30th consecutive loss. This could provide him with the impetus he needs to declare a Republic, legalise polygamy for politicians who find it difficult to spend so much time in Canberra without a family, organise a brain-transplant for Derryn Hinch – he obviously got a liver transplant by mistake – and substitute Tony Abbott for one of the expelled Russian diplomats. If all that fails, the only possible chance of reinvigorating Malcolm would be an intensive ball-tampering course from Stormy Daniels.